For Colorado’s fiber producers, the craft weaves together a passion for fiber arts and a love of the land and its animals. Hear a few of their stories below, and make plans to visit their farms on your next trip. Jane and Arthur Levene endured a brief attempt at hay farming before they realized their acreage was too small and the work rather unrewarding. The couple happily turned to alpaca ranching and, along the way, discovered a special breed called paco-vicuñas, descendants of an Andean camelid domesticated thousands of years ago. Their fleece is extremely light and luxurious, but much slower growing, so producing paco-vicuña yarn is a labor of love — one that Jane relishes. When she isn’t nuzzling, shearing, spinning, feeding and playing with her herd (the largest in the U.S.) she likes to sneak away for some fly-fishing. Call to arrange a farm tour, book an overnight farm stay or purchase their yarns. 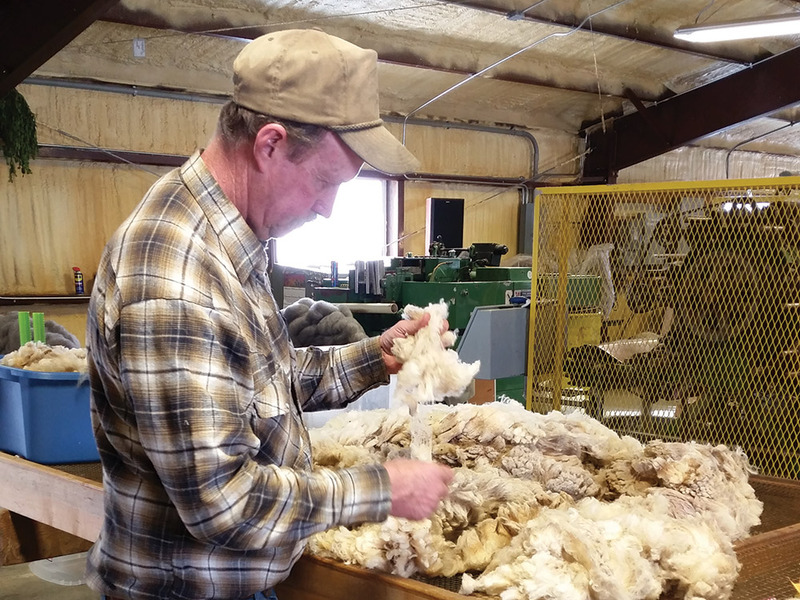 When Lorrae and Lewis Moon’s son joined his high school’s FFA club and began raising a pair of sheep, Lorrae, a lifelong rancher, found she enjoyed harvesting and spinning the animals’ fleece and selling the yarn. So when a local fiber mill announced its closure, she and Lewis took a big leap and purchased the operation. They’ve since worked day in and day out to develop their own natural washing, drying, spinning and dying methods. Their perfectionism has earned the trust of farms all over the country that send their wool, alpaca, mohair, angora and llama fleece to be turned into silky-smooth skeins. 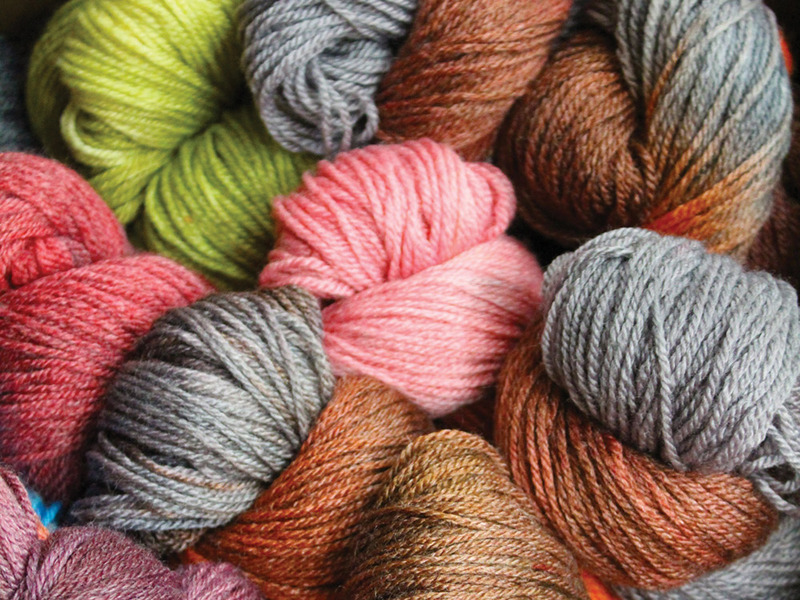 Come visit their yarn shop (with fibers made from the family’s own sheep flock), take a mill tour or sign up for a class. On scenic Garvin Mesa, several small, stout, black creatures graze emerald-green grasses in a shady orchard pasture. These are the Desert Weyr farm’s rare Black Welsh Mountain Sheep, a species prized in the Middle Ages for its dark color and supple fibers. There are now fewer than 10,000 remaining worldwide. Eugenie “Oogie” McGuire and husband Ken chose the breed for their Paonia farm, in part, to help preserve genetic diversity within the species. It’s an ambitious mission and one that began after Oogie retired from the tech industry and Ken retired from engineering in Southern California. Visitors can call ahead to arrange a shopping trip to the farm store for raw fleeces, carded roving, spun yarn and hiking socks. Jim and Linda Smith, a pair of hardy, southwestern Colorado do-it-yourselfers, built their naturally sustainable house by hand three decades ago near Durango. 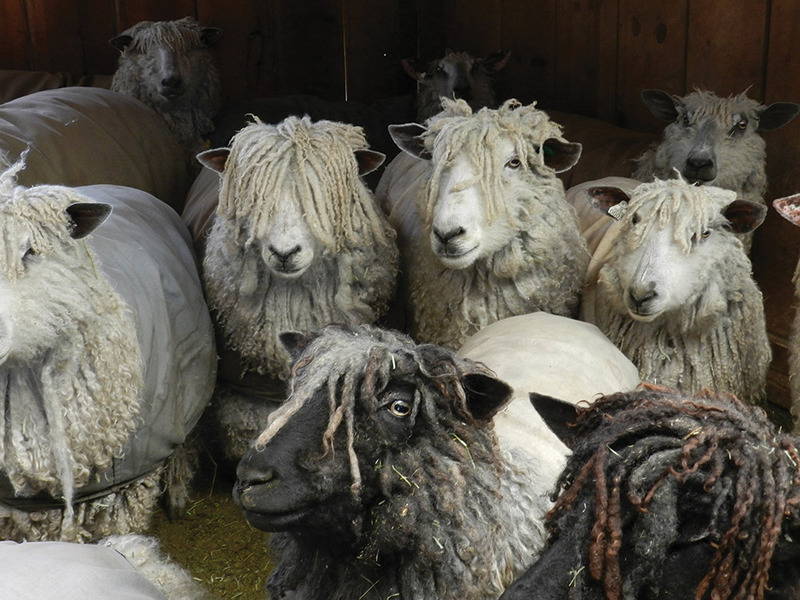 Today their organic, solar-powered ranch is home to several Wensleydale sheep and angora goats, gardens, greenhouses, an orchard and a fiber-arts studio. Arrange a creative getaway at their farm guesthouse and learn to spin, watercolor felt, knit and card yarn. Be sure to take Jim’s excellent educational tour of the grounds, focusing on the solar integration, sheep and goat care and organic gardening. Or simply call to inquire about their highly acclaimed, lustrous yarns, available by the ounce.